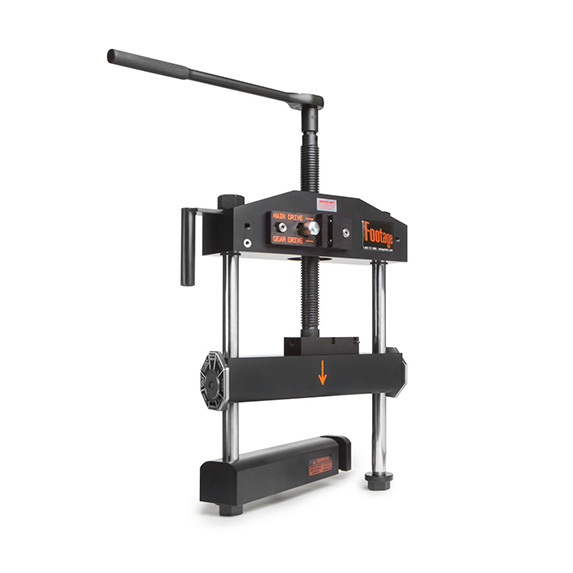 The Model C400 Gear Operated Squeeze Off Tool is designed to squeeze 2″ to 6″ PE pipe and is a cost effective alternative to hydraulic systems. The C400 incorporates all the features of the manual models, plus a unique worm gear drive, providing superior power delivery for larger diameter pipes. This tool features 6-sided, positive locking, indexable gauge plates, aircraft grade aluminum squeeze bars, chrome plated steel side shafts and a coated feed screw, reducing corrosion and friction. This tool is operated with a right angle ratchet on the integral hex at the top of the feed screw. The unique swing-out / lock-in bottom bar design allows for quick and easy access to the pipe even in confined spaces, and the stabilizing bar provides added stability during the squeeze process. The C400 also offers an optional grounding spike, and custom gauge plates are available upon request.